Why, the Historic Rapids Lodge and Restaurant in Grand Lake, Colorado of course. 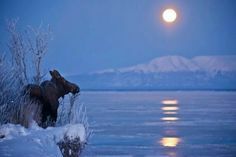 Moose love our river ….. the cool water and the willows that line the shore. July brought an impressively large bull moose to the opposite banks quite regularly. Our lunch and dinner guests got to watch him at leisure and took home some great photographs. He would nonchalantly munch on willows and now and again, take a long drink at the river’s edge. On occasion he would also wade the river, coming to our side of the riverbank, just south of the Rapids. His antlers grew larger and larger each week. One morning during check out, he wandered right through the middle of the parking lot and then his immense size was really evident. He towered over parked cars and even the dumpsters and so on. Each season brings different regular visitors. Sometimes its a fox that hangs around, sometimes a black bear includes the Rapids property in his regular nightly patrol, or perhaps we have a few deer that frequent our flower beds. Some summers we have had a mama moose with a single youngster or even twins, meander past our flower pots for a little extra greenery. 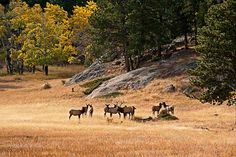 Even if you don’t see the wildlife in town, Rocky Mountain National Park will certainly offer up some great sightings. Early mornings and late evening are the best time for wildlife viewing. Elk, Mule Deer, Red Fox, Coyotes, Yellow Bellied Marmots, Ground Squirrels, Chickaree Squirrels, Chipmunks and more. 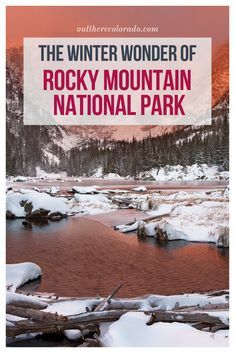 Don’t forget about birding Rocky Mountain National Park! Fire danger is high in Grand Lake! Grand Lake had a big scare on June 28th, 2018 and I this is my personal experience. On Thursday afternoon, I left the lobby of the Rapids to check something in a room and I noticed a wisp of smoke on the horizon directly West of us, over the hill near the Grand Lake Golf Course. By the time I returned from the guest room, the plume of smoke had thickened and broadened and was an ugly dark color. I immediately phoned my Columbine Lake home to warn them that there was a fire and it was rapidly growing; they should prepare in case of evacuation orders. 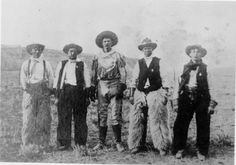 Not long after that, I received word homes along the golf course road and in the southern section of Columbine were being evacuated. Those of us who lived in the area, dropped everything and hastily raced home. On the way home, my car thermometer read 87 F, and that didn’t change with further driving later in the day. It was so very hot for a Grand Lake summer day, usually in the mid 70’s. The wind had also kicked up. I stopped at a friend on the way home for a second. They were already throwing things in the car and they told me that a man on the horse had ridden by to warn them that although they weren’t in the line of fire, they probably had 45 minutes before formal evacuation orders were in place. On arrival home, I instantly started reviewing my “fire” list: files, important documents, photo albums, computer….. and if I had time, clothes, water and a little bit of food. The mandatory evacuation call came in. We hooked up the little sail boat figuring that at least we could live in that if we had to for a while, cramped and basic though it would be. At the time of our hurried departure, I noticed a neighbor had not begun packing their car and banged on their door, alerting them to the mandatory evacuation. A staging area had not been selected at that time and we decided to not clog up town but rather to head down to the Stillwater boat ramp to the south. Amazingly, when we got there, friends texted to say they had been offered a house to stay in and did we want to join them. Yes! It was nerve wracking watching the smoke, the spotter plane, the helicopters with water bags and the slurry bombers. The big planes took several passes to determine the air flow and line up for dropping fire retardant, then they would disappear below the tree line as they flew the dangerous path to quell the fire. We heard a little later the slurry bombers had to be sent home because a drone was being flown and making it too dangerous for the big planes. Soon the smoke began to diminish and we enjoyed a beautiful moonrise before turning in for a restless night. In the morning we were relieved that the smoke had dissipated from our fire, although the sky was hazy from the larger fire far to the south of us. By early morning, the smoke began to clear and the afternoon was beautiful. The evacuation order remained in place until 7pm that evening as they worked to douse hotspots and ensure conditions didn’t change and cause flare-ups. We were so happy and relieved and grateful to sleep in our own beds Friday night! The Grand Lake Recreation Area and Golf Course had done extensive tree clearing on the south side of golf course road last fall and winter. If they hadn’t done that, this story might have turned out very differently. The Town of Grand Lake was never affected thank goodness. Businesses stepped up to help the evacuees among many other volunteers. The Grand Lake Center became the staging area for evacuees with food, refreshments and cots. Not many people end up staying there because in this lovely, little town, many of the community members took so many people into their homes. Hotspot work continued for days to ensure no further flare-ups. The Town of Grand Lake wisely cancelled the 4th of July fireworks and we were grateful for that decision. A stage 2 fire ban is in place and the air is dry and hot. Do your rain dance folks! So much of Colorado is under pressure from wild fires and we hope everyone stays safe, and that all the amazing folks fighting those fires stay safe, and start to make some headway. Spring sprung early in the Rockies. We have had unusual weather for May. Days were often sunny and 65F to 70F. As a result, flowers have bloomed and the Aspen Trees are well leafed out. Unfortunately, we are already wishing for more frequent rains although we experience a good soaking storm on May 29th. As far as playing outside or on the lakes, however, this weather is awesome! 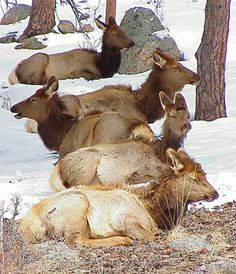 The elk and moose are dropping their calves and when they are all still scrunched up from the womb and wobbly on their spindly legs, such a sight is truly moving. You can see them as they cross the road near the entrance to Rocky Mountain National Park in the very early morning and at dusk. The first hummingbird was seen at the Rapids on May 1st! The Tonahutu flowed well all month and was just below peak for most of the latter part of the month. Our flow indicator is a big boulder and we only saw the water lap over it on one day. 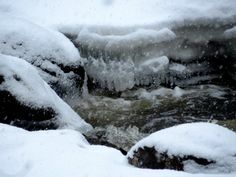 Often, when there is a lot of snow and a quick melt, the boulder becomes completely covered with water. Peak flow is at 10 am….it takes that long for melt from the higher elevations to reach us! Memorial Day Weekend brought regular visitation from a bull moose much to the delight of our guests. He appeared nightly over the long weekend at the water’s edge, sometimes forging the river. The parking lot seemed to be on his habitual route too. Perhaps he will stick around all summer. If he does, hopefully, he won’t munch on all our flowers when we get them into the pots! Boy, bookings are fast and furious this year! Many weekends are already sold out in the summer. Be advised, make your plans for getaways and vacations, reunions and weddings as soon as possible so you can snag your spot! If you missed it this year, remember we open bookings one year in advance! 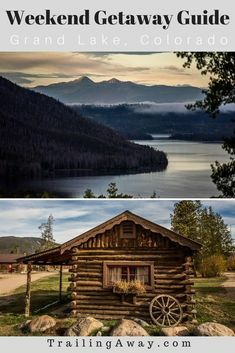 Its spring in Grand Lake, Colorado! The Continental Divide has had some excellent snowfalls recently with snowpack as of April 18, showing at 97% of average in the Upper Colorado Basin. Most of the snow at lower elevations has melted off and the three lakes, Grand Lake, Shadow Mountain and Granby, are days away from returning to open water. 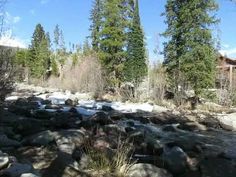 The Tonahutu River at the Rapids Lodge is now fully open and beginning to inch up with snowmelt. The American Dippers are back and darting in and out of the water as they search for food below the surface. What a unique species they are. Bird-watching is always good at the Rapids. The Stellar Jays are constantly flitting about and the morning chorus is alive with the calls of American Robins and Chickadees. The Aspen Trees are blooming and grass is greening up. It’s a quiet time of year but it’s beautiful and peaceful. Weather can change in an instant from sunny and warm to a few flurries to chilly and windy so come prepared with lots of layers! Although Trail Ridge Road in Rocky Mountain National Park doesn’t open until Memorial Day Weekend, you can still drive 8 miles into the park for wildlife viewing and hiking trail access. You can also now enjoy traffic-free conditions and walk or bicycle past the vehicle barriers to enjoy Trail Ridge Road (with you leashed dog as a bonus). The Rapids Lodge is offering great low season rates in Lodge Guest Rooms and Rapids Suites. The Rapids Restaurant will open for the summer season on May 4th for dinner and lunch service starts Memorial Day Weekend. Consider staying and dining at the Rapids Restaurant for Mother’s Day or Memorial Day Weekend! Catch Grand Lake before the crowds. 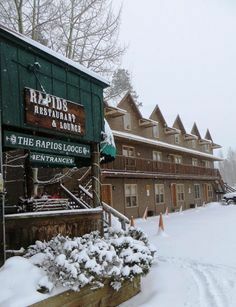 The Historic Rapids Lodge and Restaurant are now listed by Expedia.com and Booking.com! However, our guests will always find the lowest room price through our “Book Now” link at www.rapidslodge.com or by giving us a call! Whether you are a new or returning guest, book with us directly to make receive the best hotel deal and to ensure that managing your reservation is as simple as possible. We are booking up more quickly than ever and it is important to plan ahead. Groups, business meetings, family reunions, weddings and other special events should contact us directly so we can offer the full range of accommodations that we have available. We take hotel reservations one year ahead. Some of our accommodations are privately owned condos with a view. These riverside condos are not listed on Booking.com and Expedia (except for River View 1 and River View Condo 4 which are listed in the winter season only). Did you know that there are two “families” of online booking agencies? Booking.com owns and operates Priceline.com, Kayak.com, and Agoda.com. Expedia’s family includes Hotels.com, Trivago, HomeAway, Orbitz.com, Travelocity, and Hotwire.com. So if you see us on one of these online travel agency sites, remember to call us or visit our website to make your booking! We look forward to providing memorable vacations experiences to more and more people every year! 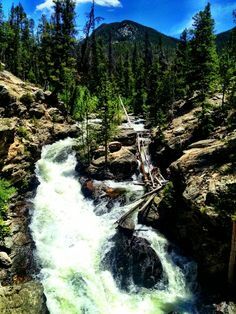 Visit Grand Lake, Colorado and stay at the Rapids Lodge. February always feels like we are turning a corner and progressing towards spring. The days are a little longer and warmer, the birds and the moose increase their activity levels and it is much more pleasant to be outside. 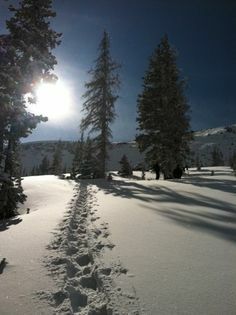 Despite reports of low snow measurements this season, the Sky-Hi News, our local county newspaper, just published an article saying that the Upper Colorado Basin is at 102% of average snow levels which is great news. There is still plenty of snow to play in. March is often a high snowfall month so perhaps we will get big snows! 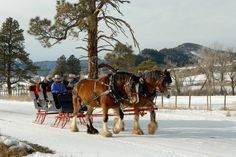 Either way, March is a great time to come visit Grand County and Rocky Mountain National Park. All the winter activities are still available and days can be beautiful. 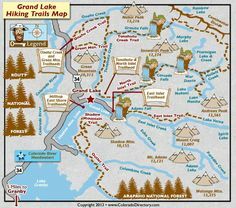 Consider trying your hand at Ice-Fishing, Sledding, Sleigh Rides, Cross Country Skiing, Snowmobiling, Ice-Skating, watch for moose, scan open water at the channel and do some Bird Watching and more. Finish it all up with a great soak at Hot Sulphur Springs, just 35 minutes away from the Rapids Lodge. The Rapids has historically been closed for the month of April but this year our lodging will be open. 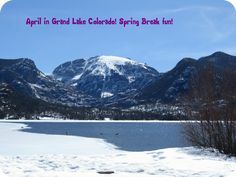 This means we are a great hotel for Spring Break in Grand Lake, Colorado! Our off-season rates for a one bedroom unit with full kitchen, perfect for a family, start at just $125 per night. Some Rapids Suites are pet-friendly too. We have the widest variety of accommodation in Grand Lake, there is something for everybody! 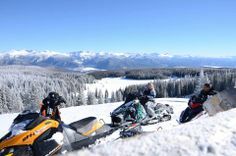 The Rapids is just 20 minutes from the family-friendly ski resort of Granby Ranch and 45 minutes from the more challenging Winter Park Resort. If you don’t want to downhill ski every day, there is plenty to do and you can enjoy time away from the crowds. 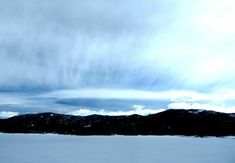 Snow in the Rockies during Spring Break, Grand Lake, Colorado. Don’t forget to plan for Memorial Day Weekend in May. Trail Ridge Road through Rocky Mountain National Park usually opens for this holiday weekend. Enjoy your 3 day weekend in one of Colorado’s most beautiful locations! Call us today or book online. 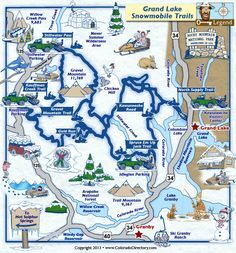 We are here to help you plan your trip. 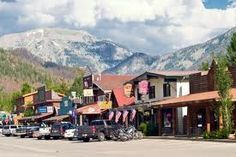 I am writing about “Community” and what it means in a small town like Grand Lake, Colorado. I went to the neighborhood Church throughout my childhood and my Pastor was amazing. He was there for tragedy, illness and bringing new babies into the world, he was a truly caring person and he taught our church what Community really means. When I was a young adult, married with kids, my Pastor passed away from cancer but left me with a longing for that feeling of being a part of a Community and it was not until I moved to Grand Lake, Colorado that I really felt that feeling of Community again. 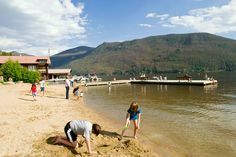 Grand Lake is a true community and whether you are a full-time resident, or part-time resident, or on vacation, you are a part of this special Community. I work at the front desk at The Rapids Lodge and Restaurant, and I do my part to make every person walking through the door to feel like they are a part of this Community, because they are! I want everyone to feel like they belong because that is how I feel, and maybe when you leave our town you will take a part of that feeling of community home and pass that on to others. You might ask yourself how it is possible to feel like a part of a Community while passing through on vacation. Well that is easy … it is really the little things such as, if you see someone on the side of the road with car problems, stop and see if you can help, open the door for someone, help a parent carry something when you see they have their hands full with their kiddos on the beach or in town. Perhaps you strike up a conversation with someone at a restaurant and buy them a drink, or even just ask how their day is going. Be kind, kindness goes a long way.